I am astounded when I walk into someone’s house and they have nothing on their walls! What?!? It’s like watching one of those home improvement shows and the final reveal shows nothing personal at all; just “wall art” that can be picked up at any decorating store. Your home is your sanctuary. It’s where you go to be you. To be with your family. If it doesn’t reflect who you are, then who are you? Are you bohemian or modern? Are you zen or kitschy? Maybe you feel most comfortable with Swedish Modern or French Provencial. Who are you? Art adds so much to our lives but so many people are afraid to make a choice. They’re afraid to make a mistake. Afraid to put a hole in the wall to hang a painting. So here are a few tips I suggest for choosing art for your home. Some but not all will ring a bell with you. Do you have a theme in mind? Maybe you collect bird or flower-related items? Landscapes of Nova Scotia? All pink or red or orange works? Perhaps you just enjoy modern abstract. Whatever floats your boat, do it. Group items. Maybe you don’t have that large focal painting, but you can make a focal area by grouping artwork. They don’t have to be framed all alike, or maybe framed at all. That’s okay. Don’t forget bookshelves and sideboards. You can tuck small paintings or artwork into unexpected corners. Change out your artwork. You don’t have to keep the same pieces up all the time. You can switch them around or change them out as your mood or the seasons dictate. Avoid too much matchy matchy. Maybe you like Norman Rockwell prints but do you need twelve of them? Just saying. How is your family and love for them represented? Do you have a framed painting of a child’s masterpiece? Try it. You’ll like it. Buy what you love. So what if the art you love isn’t currently in vogue. It’s your living space. You can have what you want. 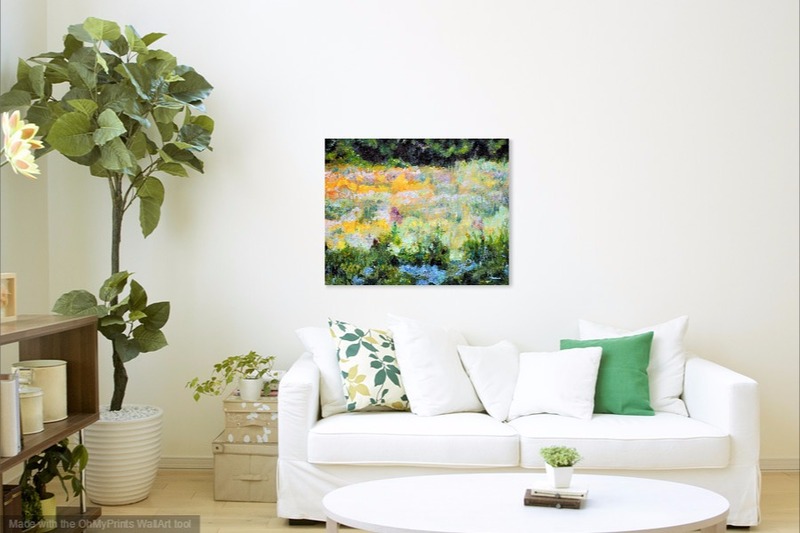 Let your art collection grow and go with you. When you move to a new place, hanging your own personal touches will make it feel like home very quickly. Make your home a retreat. This is the place you can come to kick back and be yourself. Art makes a house a home.